Family commitments meant I was unable to go for a long SOTA excursion today. 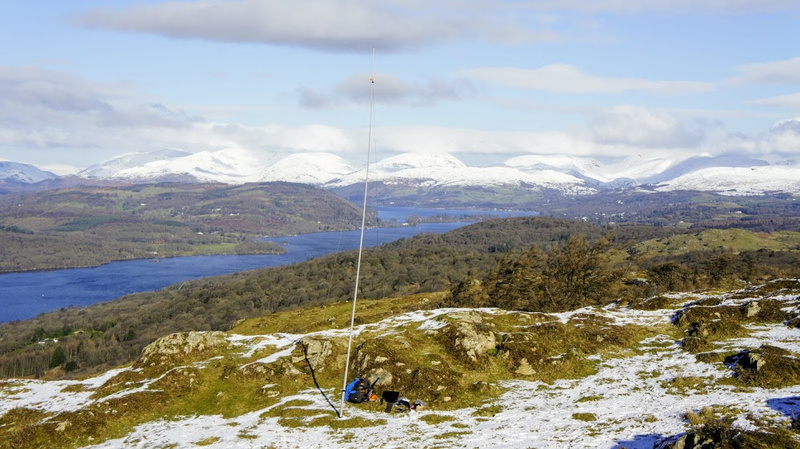 Gummer’s How G/LD-050 is around 20 minutes drive from my QTH in Windermere although a little longer at the moment due to the Newby Bridge road being closed for sewerage mains work. It was cold morning on Gummer’s How but I was blessed with sunshine for most of my time on the summit which makes everything much nicer. I was able to find a spot ducked down out of the biting northerly wind. 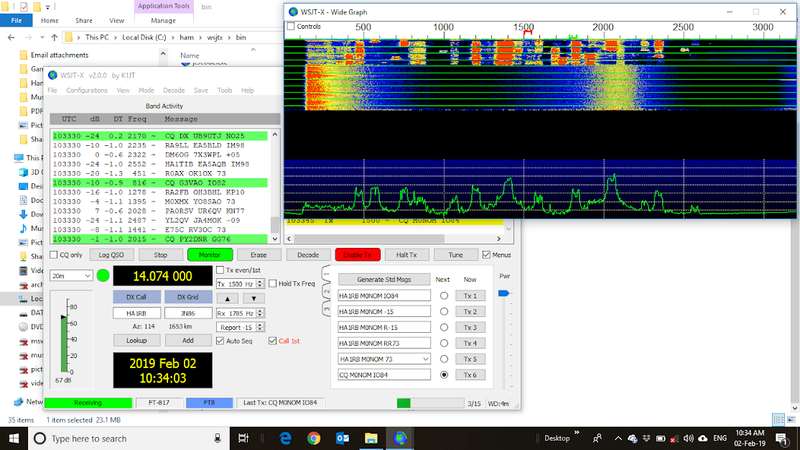 Unfortunately it looked like 20m was very quiet on the chosen FT8 frequency. 10:47z DL2HWI 7MHz SSB Thx for SOTA chase from G/LD-050 IO84mg 73! 10:48z EA2DT 7MHz SSB Thx for SOTA chase from G/LD-050 IO84mg 73! 10:49z HB9BIN/P 7MHz SSB Thx for SOTA chase from G/LD-050 IO84mg 73! 10:51z OK1DPU 7MHz SSB Thx for SOTA chase from G/LD-050 IO84mg 73! 10:53z EA2BD 7MHz SSB Thx for SOTA chase from G/LD-050 IO84mg 73! 10:53z HB9AGH 7MHz SSB Thx for SOTA chase from G/LD-050 IO84mg 73! 10:56z 2EOFEH 3.5MHz SSB Thx for SOTA chase from G/LD-050 IO84mg 73! 10:58z G3TQQ 3.5MHz SSB Thx for SOTA chase from G/LD-050 IO84mg 73! 10:59z G6LKB 3.5MHz SSB Thx for SOTA chase from G/LD-050 IO84mg 73! 11:00z G4OOE 3.5MHz SSB Thx for SOTA chase from G/LD-050 IO84mg 73! 11:00z MW0ISC 3.5MHz SSB Thx for SOTA chase from G/LD-050 IO84mg 73! 11:01z M0TMD 3.5MHz SSB Thx for SOTA chase from G/LD-050 IO84mg 73! 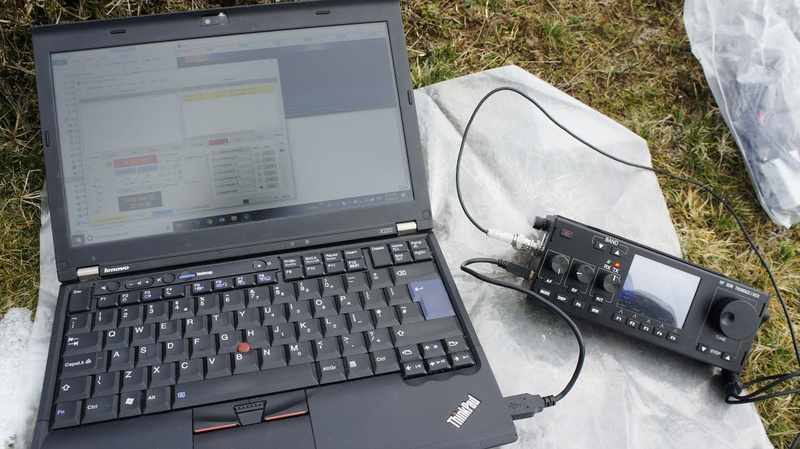 11:03z G0RQL 3.5MHz SSB Thx for SOTA chase from G/LD-050 IO84mg 73! 11:34z G1OHH 144MHz FM Thx for SOTA chase from G/LD-050 IO84mg 73! 11:37z G7CDA 144MHz FM Thx for SOTA chase from G/LD-050 IO84mg 73! 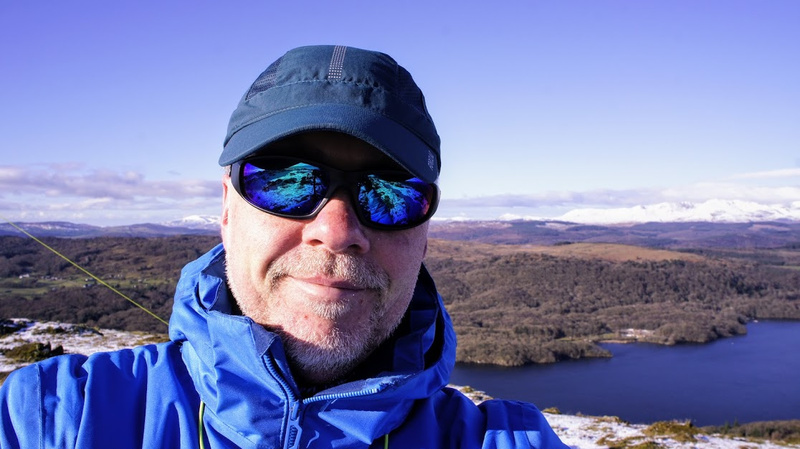 11:44z 2E0BLL 144MHz FM Thx for SOTA chase from G/LD-050 IO84mg 73! 11:45z G6LKB 144MHz FM Thx for SOTA chase from G/LD-050 IO84mg 73! One interesting contact here is Odd @LA5WNA - it took a little getting there with a QSY but a great contact on 80m SSB! Lots of scenery photos here. Many thanks to all the chasers as always, going to try and get out towards the Langdales tomorrow morning to tick off some Wainwrights which may include High Raise but it is very WX dependent and I suspect the openness of this summit, time to reach, icy footing and predicted worsening weather may mean a sensible choice is made to leave the SOTA for another day. Been a cracking day here Mark after we had about 3-4cms of snow last evening. 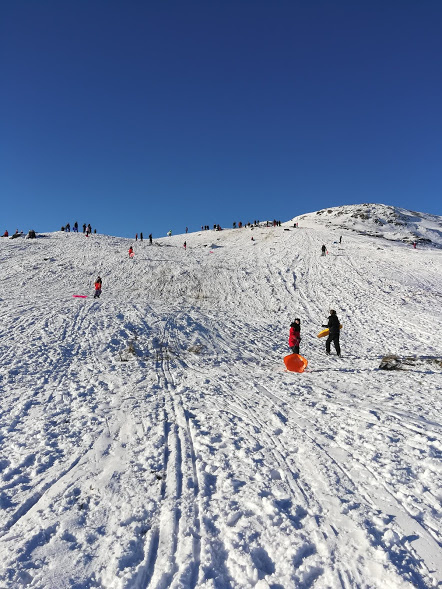 Everywhere else has been getting fair dumps of snow and we’ve been lucky really. WX is for sleet/rain around lunchtime tomorrow and being a big girl’s blouse of a fair weather activator these days I may not bother and just take the hound for a walk instead! Well the washing machine sounded like it was going to implode last night so today has been taking that apart with the anticipation that I would need to replace the main bearing. After about an hour and a half I found that my particular machine has a welded drum - so replacing the bearing involves hacksawing the two halves apart, replacing the bearing, then sticking them together again. A step too far for me, so I stripped the current machine for parts and have ordered another one. I could have got a replacement drum but that was best part of £230 with a new machine being around £200 more. Given that the machine is eight years old I picked the later option. It started snowing around midday and that has then turned to slush and then rain. So I don’t feel too bad! Oh dear, sorry to hear about the washer. My parents bought a dryer in Ireland many years ago, when they decided that Co. Kerry was far too remote, they moved back across to England, just north of Carlisle. At the new place my parents decided that they’d like a condenser dryer so I was the lucky recipient of the ‘Irish’ dryer. The dryer has provided good service but last year the drum stopped going round. Being inquisitive, I took the dryer apart and found that the belt had snapped. I was quite proud that I was able to replace the belt and get the machine working again. Replacing the belt required some Naval sounding language and also resulted in spilt blood. Crikey those belts are under some tension! Anyway, the machine has survived yet another move and continues to provide service at my new QTH. 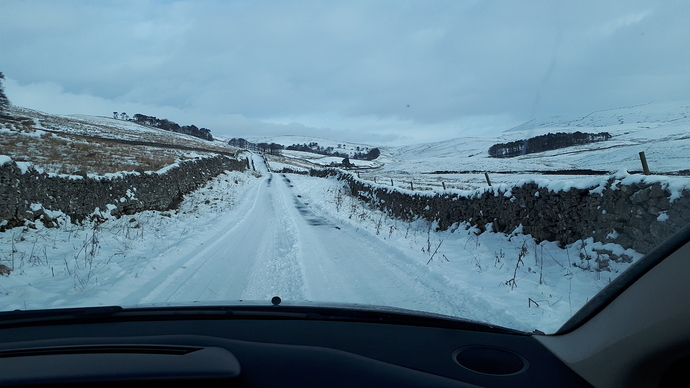 I had intended to walk up Whernside with my 12 year old son this morning but unfortunately I found the road conditions were not too good. I’ve already got the bonus points for Whernside G/NP-004 this year, so it wasn’t worth risking an accident with the car. I managed to turn around without too much fuss and I racked my brain for a replacement easy summit. 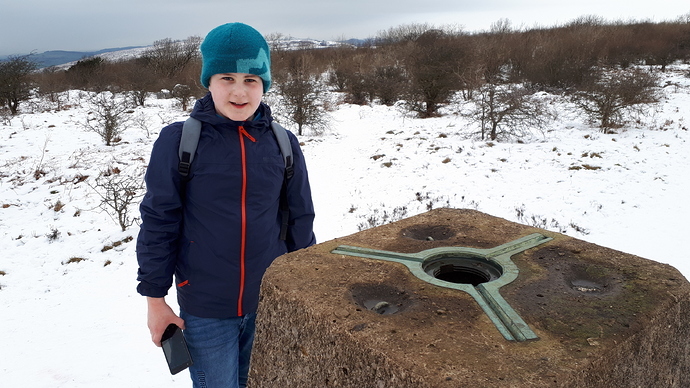 We could have done Whernside from Philpin as I’m sure the road from Ingleton would have been fine, but the walk is much longer from that side and I’m wanting to build Alex’s skills up gently! I decided to head to Hutton Roof Crags as it would still give us a bit of fresh air and the roads would be fine. I gave a quick call on 2FM from my FT60 and 1/4 wave from the trig and Sue G1OHH from Lancaster called me. I chatted with Sue for a while before it started to hail so as I’ve already got the point for LD-052 this year, we decided to retreat back to the car. My son at G/LD-052 trig point. Everywhere else has been getting fair dumps of snow and we’ve been lucky really. All I’ve seen this year was half an hour of wet sleet last week, plenty of frost - the lake in the local park is frozen - but no snow.